› Featured › Destination Of The Week: Las Vegas! 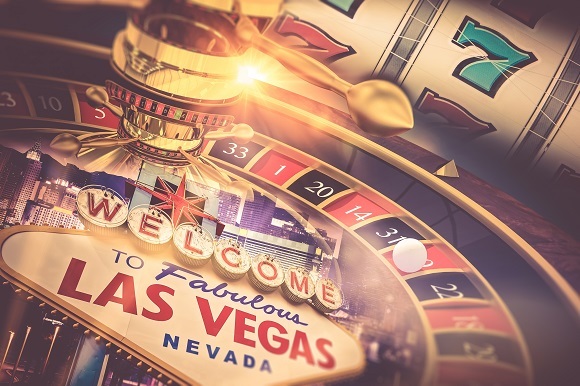 From circus performances to neon lights, Elvis impersonation weddings to whistle-blowing bachelor parties, pennies lost to jackpots won… you won’t soon forget a trip to Las Vegas, the city where anything can happen! Best time to go: Fall and spring: both seasons make for fewer crowds and more manageable temperatures. You can also grab good deals on accommodation, as you’ll be visiting out of season. 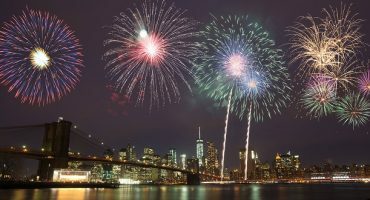 Las Vegas is particularly busy for New Year’s Eve and is a popular winter destination, meaning if you travel during this time you’ll be sharing the slots with larger crowds! 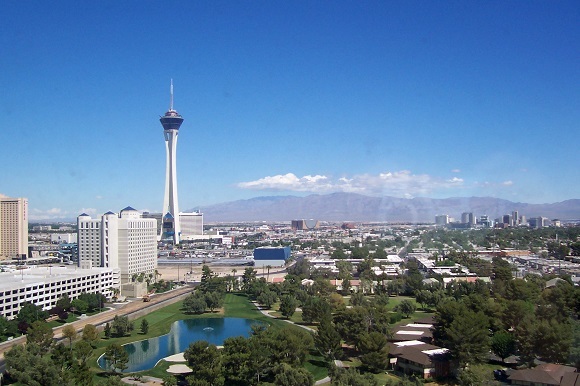 Summers are extremely hot in Las Vegas but if you plan to spend most of your time at the casinos (which are all air conditioned), you can bag some real bargains on hotel rooms and flights. 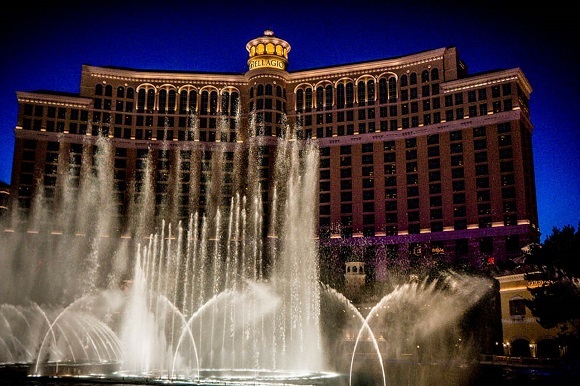 Ocean’s 11 is arguably one of the most iconic films about Las Vegas (Fear and Loathing comes in a close second) and since its release, the fountain show at the Bellagio has become a must-do. Every day on a regular basis, the fountain comes alive with a performance to remember: set to a soundtrack of various musical genres, the fountain lights up and dances in a stunning display. It’s also free to see – check out the full timetable here. 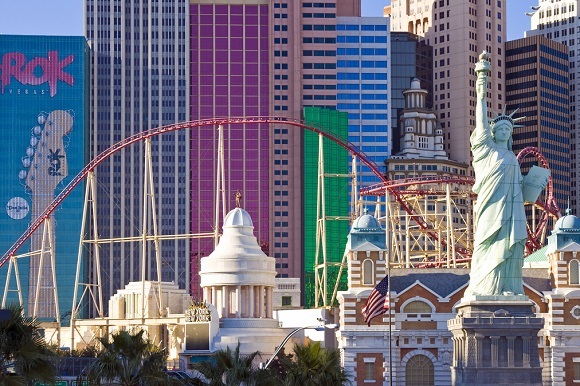 The Big Apple Roller Coaster is one of the coolest rides in Vegas. Inspired by Coney Island, this coaster at the New York New York Hotel & Casino takes you up more than 200 feet before sending you spiraling around in 360° somersaults. It’s thrilling, it’s scary, it’s adrenaline boosting – but the views are simply spectacular. Did you know that Vegas has so many lights that you can see it from space? The Stratosphere is the perfect spot to watch them turn on one by one as the sun goes down. Located at the north of Las Vegas Boulevard, this 350.2m tall tower features outdoor and indoor observation decks, and a bar for those who like to enjoy their drinks at the same time as stunning 360° views of Sin City. For a thrill inducing experience, visitors can even book a SkyJump, which takes place from a height of 829 feet. This one is definitely not for the faint hearted! Who goes to Vegas without testing their luck at a slot machine or two? Gambling is big business here but it’s smart to have a budget and to quit while you’re ahead. 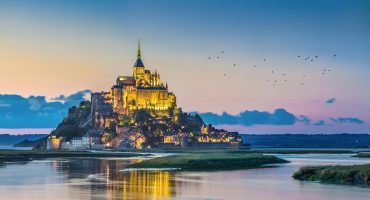 Whether the penny slots are your game, or the Black Jack table, these are the city’s most iconic casinos: New York, Orleans, Monte Carlo, Circus Circus, Venetian, Luxor and Caesar’s Palace. All you need to decide now is where to start! Tip: Not into gambling? 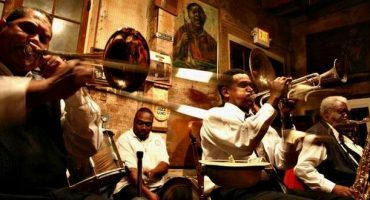 There’s plenty to see and do in Las Vegas away from the casinos – we’ve run through the best right here. Find the best price for your trip to Las Vegas – sign up for our fare alert!